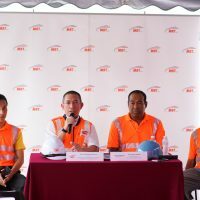 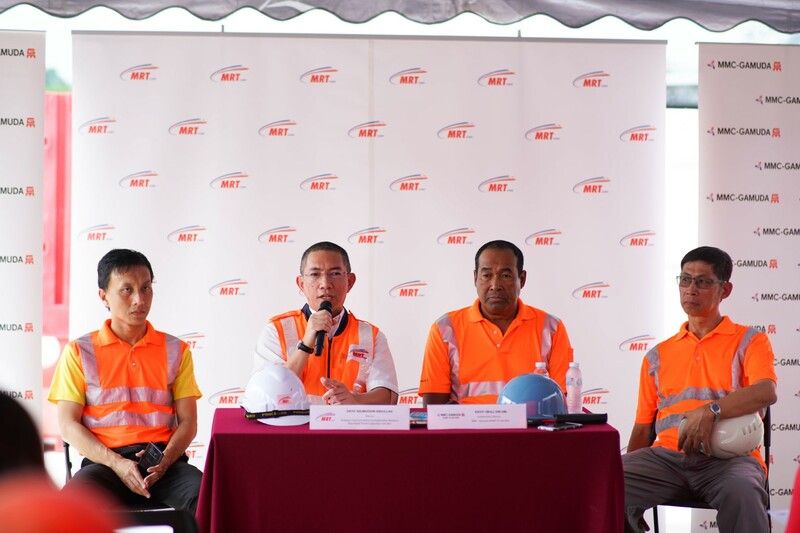 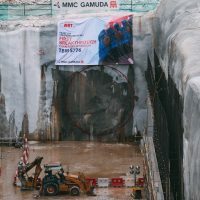 The first tunnel boring machine (TBM) breakthrough for the MRT Sungai Buloh-Serdang-Putrajaya (SSP) Line took place on 29 January 2019 at the Chan Sow Lin MRT Station construction site, marking a major milestone achievement for construction of the Klang Valley MRT Project’s second line. 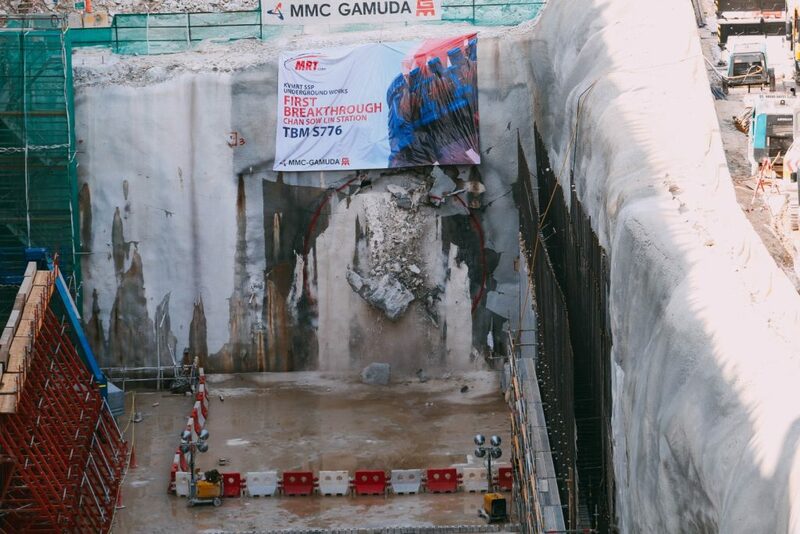 The tunnel section, also known as a tunnel drive which ran between Bandar Malaysia North Station and Chan Sow Lin Station was excavated using the state-of-the-art Variable Density TBM and took approximately 11 months to cover a distance of 1.9 km underground. 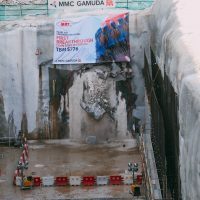 The breakthrough marked the first completed tunnel drive, out of a total of 16 tunnel drives needed to complete the 13.5km underground section of the SSP line. 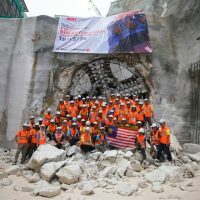 The achievement was made more significant as the TBM, codenamed S-776-VD, was the same TBM that successfully completed the first tunnel drive for the MRT Sungai Buloh-Kajang Line in January 2014. 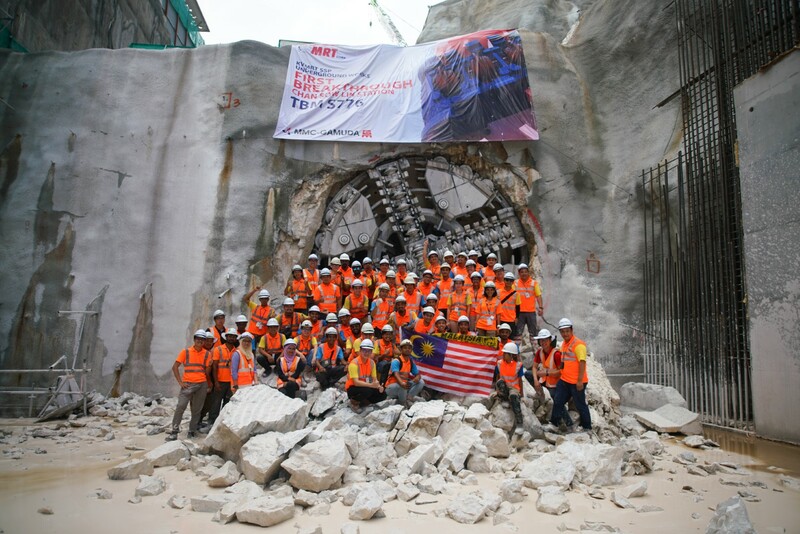 This particular TBM had been refurbished at a local refurbishment plant in Pusing, Perak. 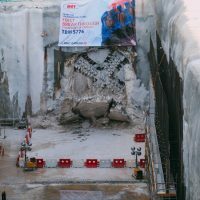 It is the first and only TBM refurbishment facility in Southeast Asia capable of carrying out refurbishment works. 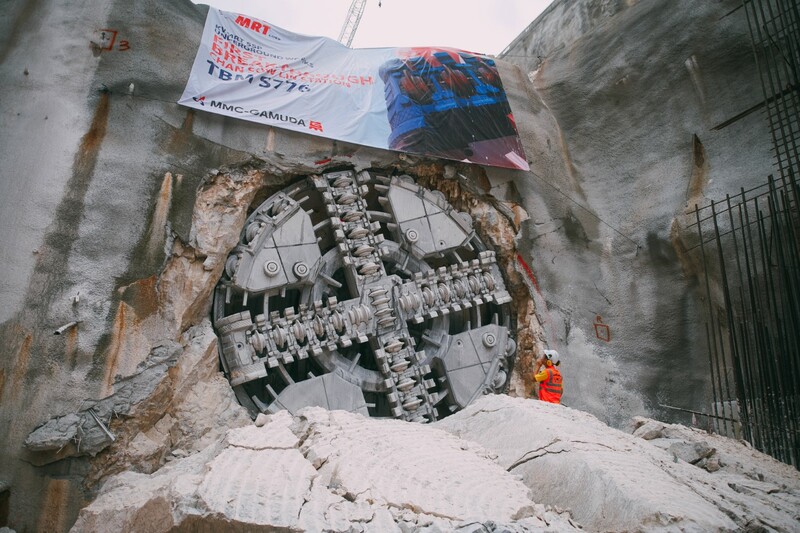 Tunnelling works for the SSP Line will be at full momentum with seven more TBMs being launched within this year. 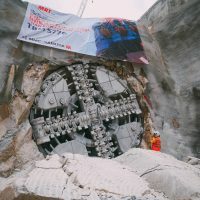 Including the TBM which broke through, there are a total of five TBMs currently in operation. A total of 12 TBMs will be used and as there are a total of 16 drives, some TBMs will be handling two drives. 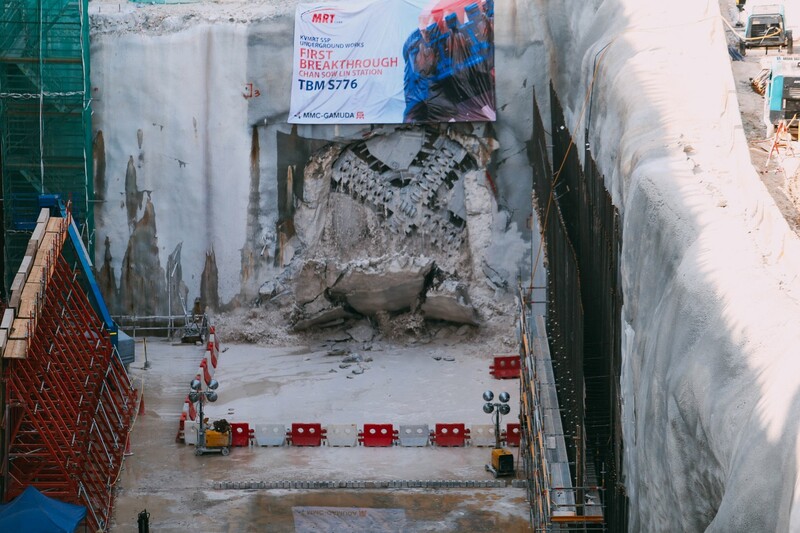 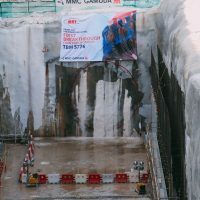 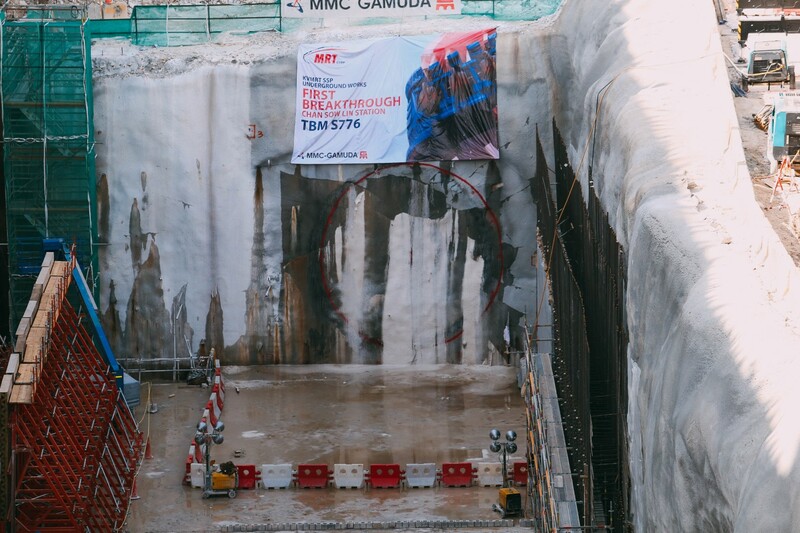 Following the breakthrough, the TBM will be pulled across the Chan Sow Lin Station box and then restarted to excavate its second tunnel drive northwards between Chan Sow Lin Station and the Tun Razak Exchange Station. 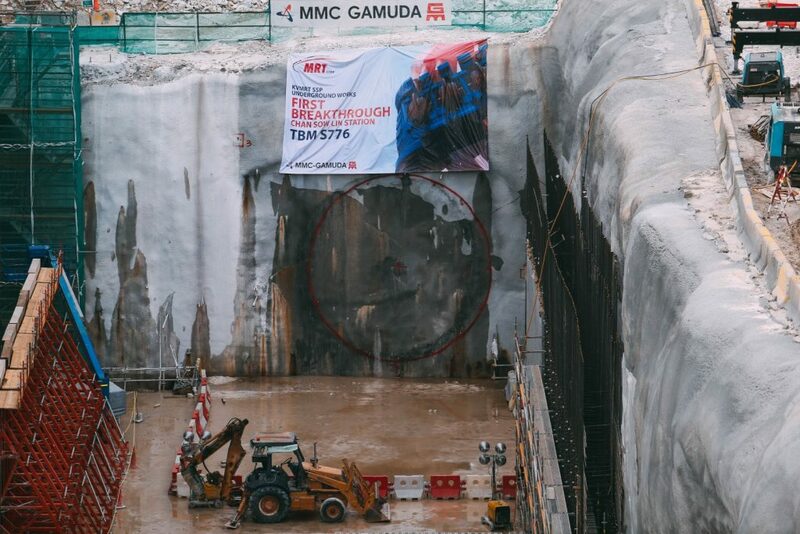 Once it reaches Tun Razak Exchange Station, the TBM will be disassembled and retrieved in parts.